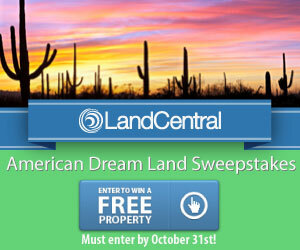 American Dream Land Sweepstakes with LandCentral – Win a piece of Land! How would you like to win a piece of land? No I’m not kidding! LandCentral is giving away a piece of land and you will get to choose from five properties if you win! Entering is simple. Just click HERE to go to the LandCentral page and enter on the Rafflecopter form for your chance to win! Leave us a comment and let us know which property you would pick if you win. I think Arizona would be great; although I’ve never been there I have heard it is really nice! NextRainraps – A great gift idea for the holidays, or any occasion!